They say that if you do what you love for a living, you'll never work a day in your life. So it makes sense that someone who lives by the GTL code ("gym, tan, laundry") would find a way to make some money off of it. 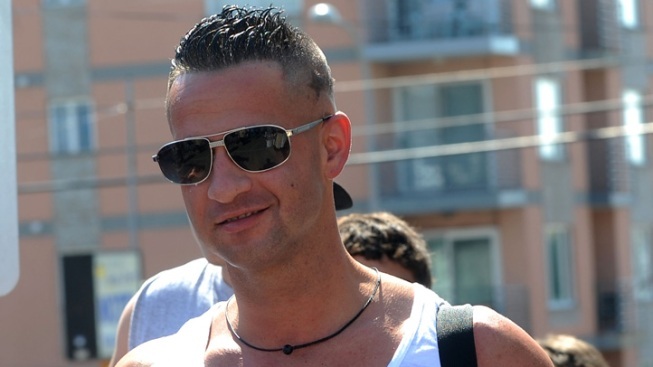 Rather than open a fitness center or a laundromat, "Jersey Shore" star Mike "The Situation" Sorrentino is getting into the tanning business. Sorrentino has been named a partner of Boca Tanning Opportunities, Inc, based in Florida. He's expected to attend an event at the Boca Tanning Club in Miami on Thursday. Boca Tanning Club has 20 outlets in Florida, Texas and New York. Sorrentino says he hopes to see one in every single state, especially so that when he travels he can "always have a great place to tan." Sorrentino most recently made headlines when clothing retailer Abercrombie & Fitch made an offer to pay him to not wear their clothing, saying he was giving their brand a bad name. The MTV reality series is currently airing its fourth season, based in Italy, while filming season five, which returns the cast to Seaside Heights, NJ.